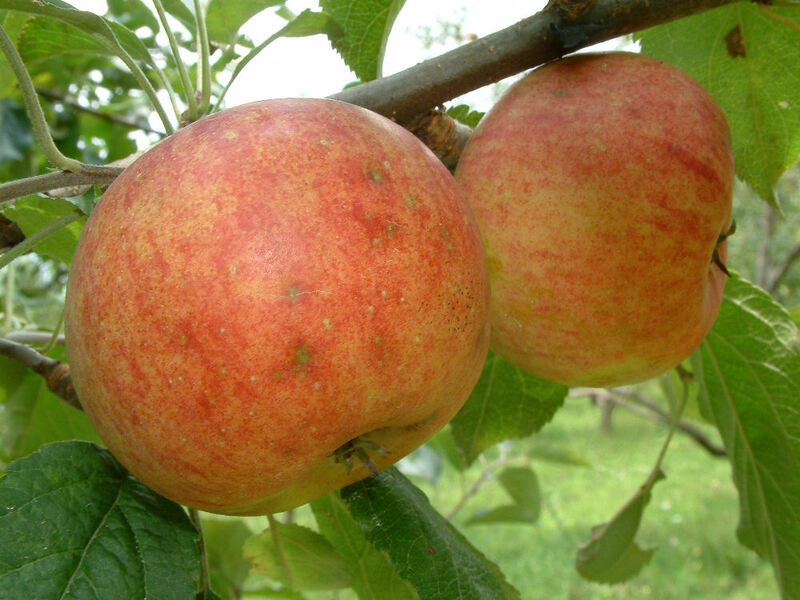 Once believed to be extinct, this low chill apple was rediscovered in 1997 by Lee Calhoun near Greensboro, North Carolina, the area where the apple first originated. According to a 1920 catalog from the J. Van Lindley Nursery of Greensboro, “A new sort called to our attention three summers ago. Begins to ripen in June and continues all through the summer. Tucker is really the nicest ever-bearing apple we have ever seen.” Fruit is medium in size, roundish, flattened on the ends and occasionally lopsided. Skin is smooth, light yellow with a rosy blush and darker red striping on the sunny side. Ripens late July through September.